As the Head of Learning, you will be responsible for embedding innovative and evidence-based approaches to learning across the organisation. You’ll have a deep understanding of what learning is, from traditional skills-based course structures to learning for behavioural change. Most importantly, you’ll need to be an individual with drive, energy and passion who meets Good Things Foundation’s core values & behaviours. Defining and implementing an organisational strategy for community learning, working with the Heads of Digital and Social inclusion to develop an approach that meets the needs of our learners and closely aligns with government policy. Leading our expertise in learning, drawing on best practice within pedagogy and pushing boundaries for new learning techniques, particularly in digital learning. Working closely with the Head of Research to design and pilot innovative new approaches to learning, firmly based in the lived experiences of learners we support. Leading a dynamic award winning team of learning specialists and working to develop a network of strategic partners in the learning and training arena, positioning us as a leading learning and training organisation in informal/community learning, digital learning and corporate training. Being a key part of our Leadership Team to champion and drive the organisation’s strategic objectives‘Digital and Social Inclusion through digital’enabling the organisation to diversify and grow to realise our strategic ambitions. At least 4 years of working within a learning or training role. Developing great learning materials using a user centred design process. Delivering face to face training. Working closely with external organisations. Great knowledge of learning methodologies. Great at forming strategic relationships. Knowledge of Government learning policy. Knowledge of the UK e-learning industry. Experience of trialing new approaches to learning. Ability to apply learning methodologies to a range of needs and scenarios in the digital and social inclusion space. 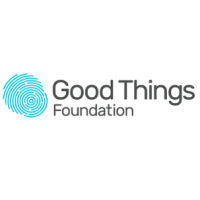 For a full job description and application form please see the Work for Us page of our website and send your CV and completed application form to: recruitment@goodthingsfoundation.org by 10 December 2018.